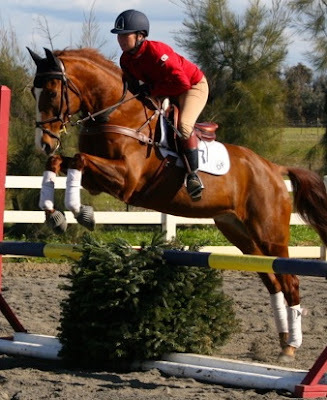 Dragonfire's first clinic of the year was a roaring success with Canadian Olympian, Hawley Bennett, giving us a real "jump" on 2013. All of the clinic goers saw vast improvement while working through Hawley's imaginative exercises, whether they were green or accomplished. The first day involved some serious footwork, getting the horses keen but with impulsion. The second day gave the riders the opportunity to guide their sharper horses through a series of courses. Our Potluck Dinner on Saturday night was a blast and a showcase for some pretty tasty cooking! As always, DF turned out some impressive students who were eager to learn and improve. Well done! We'd like to thank Deer Creek Pony Club for tending a well stocked snack bar, and of course Hawley, for a fantastic clinic enjoyed by all. Dates for the next clinic with Hawley are set for March 23-24 and spots are already filling up so email Jenny at dragonfirefarm@frontiernet.net to participate. For your viewing pleasure, Taylor McFall guides Mighty Maybelline through both days of the clinic.